Generally everyone heard about kawach, some people recite kawach regularly, sometimes astrologers also recommend to read this protection kawach. Kawach are actually made to protect the reader from evil energies. There is collection of mantra and strot which protects the reader. There are different types of kawach available of different god and goddess. Durga kawach is used to attract blessings of goddess durga. Shiv Amogh Kawach is used to get protection from lord shiva. Shree Narayan kawacham is used to attract blessings lord vishnu. Narsingh kawach protect the person from black magic done by enemies. Kali kawach also protect devotees. So there are many types of kawach are available. . It protects the person from evil energies. It protects the person from malefic planetary impacts. Kawach ke remove fear from mind. If anyone perform black magic then the reader remain protected. If anyone read kawach properly then immense power can be felt during reading kawach. Kawach makes a shield and so negative energy are unable to disturb the person and so it is good to use it carefully when necessary. If anyone think that some one is doing black magic then reading kawach is beneficial. If no way is found due to malefic planetary impacts then it is good to recite kawach. If anyone have bad dreams then it is good to recite kawach before going to bed. If failure is not leaving anyone then reading kawach will show good results. 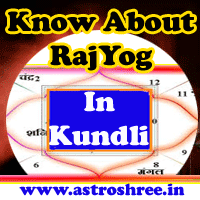 It is good to consult astrologer before selecting kawach for best result. Read kawach daily for successful life. Attract blessings of god and goddess through reading kawach. क्या होते हैं कवच, कब पाठ करे कवच का ?